Leadership: Enhancing the Lessons of Experience, 8e consists of 16 chapters, four of which cover specific leadership skills and qualities covered in each of the book’s four sections. Hughes, Ginnett, and Curphy draw upon three different types of literature – empirical studies; interesting anecdotes, stories and findings; and leadership skills – to create a text that is personally relevant, interesting, and scholarly. 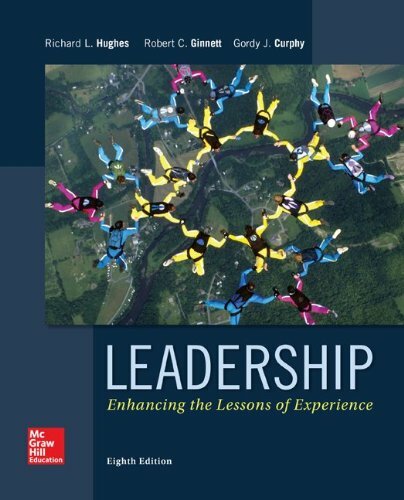 The authors’ unique quest for a careful balancing act of leadership materials helps students apply theory and research to their real – life experiences. The Eighth Edition has been thoroughly updated in virtually every chapter.